Correct eating process helps the patent in recovering quickly. Some of your elder and weak clients might need your help, while eating. Every patient has his/her own specific requirements for assistance. Some of them require a little bit of help (for e.g. you might require to cut food into smaller portions for them), while others necessitate a lot of assistance. Identify the level of support your client need in feeding. If the patients are physically able to eat food, allow them to have food at their own. Here is the step-wise procedure to feed a patient. In order to prevent contamination of food, rinse your hands using antibacterial soap or cleanser. Greet your client and tell him that you are going to assist them in feeding. Ask them to wash their hands and sit properly. All the patients do not require similar level of help. Some clients have no need of your help, while others have a little to a lot of requirement of assistance in having their meal. Therefore, it’s better to ask them whether they actually need an aid and if yes, which type of aid? Some clients need your support in cutting food into smaller bites or for opening the beverage for them? After completing these tasks, allow them to eat at their own. You need to provide verbal cues to visually impaired client, when they eat. Encourage them to perform the task at their own to the maximum possible extent. Patients suffering from paralysis or experiencing weakness sought some additional aid. You require not only to cut food into small bites, but also to feed these bites to them. Ensure that your patient appropriately chew and swallow the food. Check, if the client is encountering any difficulty with food’s texture or size. When the client finishes his food, help him in washing his hand. You are also required to rinse your hands, after completion of the process. Don’t forget to wash hands, before and after feeding the patient. Be courteous and have patience when feeding the patient. 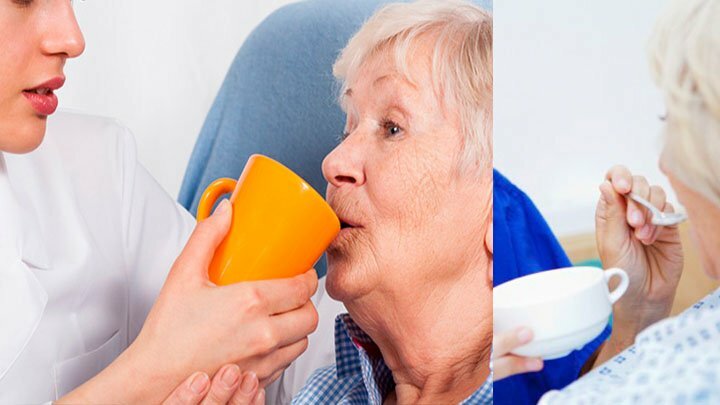 Never rush sick or elderly clients, while they are eating. Their appetites may not be big and they might finish their food in a long time. Ensure that the food is not too hot; otherwise it may lead to mouth burns. Ensure that your client chew and swallow the food properly. Let them finish their current bite first and then serve the next bite. What Does an Examiner Observe When You Feed a Resident? If you have started the process after rinsing your hands? Tip- Wash your hands properly up to the wrist, using antibacterial cleanser or soap. If you have prepared the patient for the meal? Tip- Ask your patient to use toilet and rinse hands, before start eating. Whether you have positioned the client in right position, before feeding? Tip- Help the patient to sit in a correct manner, so that he/she doesn’t feel any difficulty in eating the food. If you have checked that the food items match with the diet order of the resident? Tip- Always ensure that the food items match with the diet order of the resident. Whether you have protected the clothing of the patient? Whether you have checked the temperature of liquids or food? Tip- Hot food or liquid may cause burns in the mouth of the patient. Therefore, before serving the food, check its temperature. If you have cut the food into small pieces? Tip- Cut the food into small portions, if your patient needs so. Have you fed the client with appropriate utensils? Tip- Use appropriate utensils and feed right sized bites to the patients. If you have communicated with the patient? Tip- Interact with the patient, as appropriate. If you have provided liquid and solid food alternately? Tip- Feed liquid and solid food alternately, according to the client’s preference. If you have ensured that the patient has swallowed the food properly, before serving next bite? Tip- Feed the next bite, only when the resident has completely swallowed the first bite. Whether you cleaned the client, after he/she has finished food? Tip- Clean the hands and mouth of the patient, once he/she completes food. Whether you removed the tray and cleaned the area? Tip- Clean the area where the client has ate food using disinfectant. Remove the dirty tray and put it at the right place. If you have performed completion assignment? Tip- Cleanse your hands, after completing the assignment. Feeding a patient at the nursing home is really a very hectic job. You have to assist your client in reaching the dining hall from their room. All patients are not capable to have their meal at dining hall, so they eat food in their own room. In this case, you are required to assist these patients by passing food trays. You are also required to help out those clients, who are not able to eat at their own. Some new CNAs feel hesitation in feeding the elderly patients. You can remove the feeling of discomfort by chatting with the patients, while feeding them. Don’t stop chat, even if the sufferer doesn’t respond. It will help in reducing your stress. While feeding the sufferer, have courtesy and patience. Never make your client to feel rushed, when they are eating. If you will do so, they will consider them as a burden and their diet intake also decreases. If the appetite of the patient decreases, notify it to the supervisor nurse. While feeding the client, follow the diet chart recommended by the doctor. Always have empathy with your patient! Watch this video to know the correct procedure of feeding a resident.